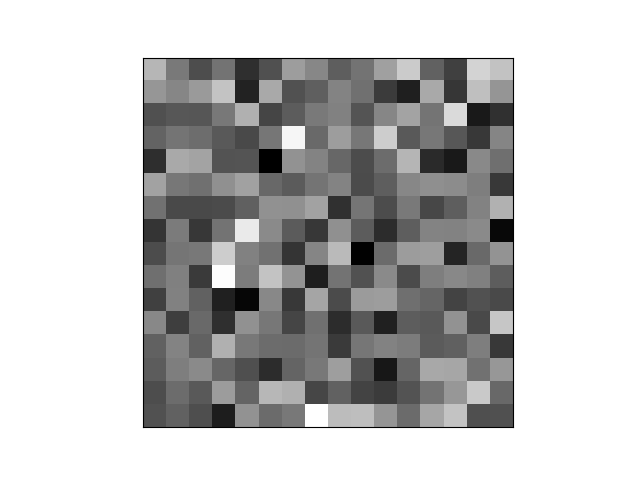 I needed a bad random number generator for an illustration, and chose RANDU, possibly the worst random number generator that was ever widely deployed. Donald Knuth comments on RANDU in the second volume of his magnum opus. When this chapter was first written in the late 1960’s, a truly horrible random number generator called RANDU was commonly used on most of the world’s computers. I was looking for something bad, but I didn’t realize RANDU was that bad. 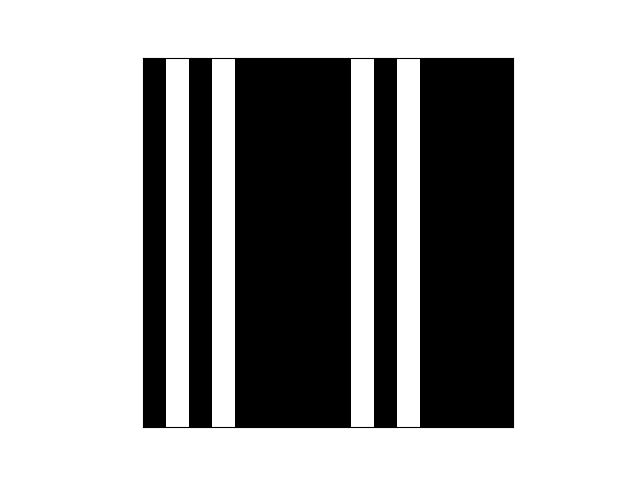 The white stripes represent the generated values and the black stripes values that are never generated. So out of 256 possible 8-bit numbers, this generator only ever outputs 64 of them. I used 33 as my seed. I might have gotten different vertical stripes if I had chosen a different seed, but I’d still get stripes. The last hex digit cycles 3, 9, b, 1, 3, 9, b, 1, … producing only four possible values.